The KeyBank Rochester Fringe Festival (Thursday, September 14 – Saturday, September 23) announced its entire 10-day, 2017 lineup at its sixth annual BIG REVEAL press conference on the first World Fringe Day– a very special day for the more than 200 fringe festivals that exist worldwide. More than 100 of the 2017 Fringe’s 500+ performances and events will be free to the public, including the previously announced U.S. premiere tour of France’s Plasticiens Volants, presenting one of its grand-scale, jaw-dropping street theatre spectacles called BIG BANG at Friday and Saturday on the Fringe (Sept. 15 & 16) at Parcel 5. Founded in Paris in 1976, Plasticiens Volants is renowned for creating high-profile events in the skies, squares, and streets of five continents – including its most recent production for the Olympic Games in Rio (2016) – captivating audiences with giant, inflatable, floating creatures combined with theater, projected images, music, and pyrotechnics. Based on the Edinburgh Fringe model, the vast majority of the Fringe’s productions are submitted by artists and then chosen by the Fringe venues themselves: Bernunzio Uptown Music, Blackfriars Theatre, the Central Library, Eastman School of Music, Gallery r, Garth Fagan Dance Studio, George Eastman Museum, Geva Theatre Center, Java’s Café, The Little Theatre, Lyric Theatre, Makers Gallery & Studio, MuCCC, Rochester Contemporary Art Center, Rochester Museum & Science Center, School of the Arts, TheatreROCS Stage at Abilene, and Writers & Books. Genres are: Children’s, Comedy, Dance, Multidisciplinary, Music, Performance Art, Spoken Word, Theatre, and Visual Art & Film. All tickets, show descriptions, and a full schedule are available starting at noon today at rochesterfringe.com. Rochester’s Fringe – which happens to be one of the fastest-growing and most-attended in the U.S. – adds another layer by producing its own shows, including the aforementioned free performing arts spectacle each year at Friday and Saturday on the Fringe, which feature other free entertainment as well. Also curated by the non-profit Fringe is a second weekend (Sept. 22 & 23) of free entertainment on Gibbs Street (closed to traffic), which includes the return of last year’s hugely popular Fringe Street Beat. Teams interested in participating in this dance battle for title of Fringe Street Beat Champions and a cash prize of $1500 should sign up at rochesterfringe.com. Also returning for its fifth year, the always standing-room-only, free Gospel Sunday show in Eastman School of Music’s Kilbourn Hall (Sept. 17). 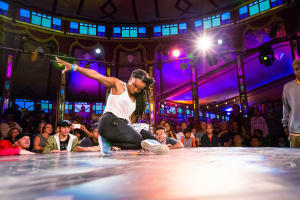 One of the highlights for Fringe fans is the annual reappearance of the magical Spiegeltent – an exquisite Belgian “mirror tent” that will once again host Cirque du Fringe. This year’s show is another world premiere created especially for Fringe by Las Vegas’ Matt and Heidi Morgan – Cirque du Fringe: Eclectic Attraction – featuring all-new acts of daring and skill, live music by guitarist Aurélien Budynek, and a healthy dose of comedy. 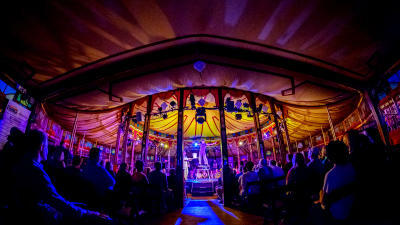 Late-night in the Spiegeltent: the sublimely bawdy, award-winning musical comedy The Bicycle Men, and the return of the total sell-out hit, Silent Disco. Last year’s sold-out Disco Kids returns as well. In the surrounding Spiegelgarden – that chill, urban lounge at One Fringe Place (corner of East Main & Gibbs St.) – Pedestrian Drive-In returns with a new set of cult and classic films (free) using Silent Disco headphones. All of this year’s movies have a Rochester connection as well. New this year: 3D Sound Experience in the Immersive Igloo is an ambient, electronic soundscape housed within a glowing, 40-foot, inflatable igloo. In addition to the Igloo show, Fringe once again focuses on site-specific work in the Spiegelgarden, with new editions of favorites Dashboard Dramas IV in parked cars and Bushwacked: Crystal Magic Wonder Cabinet Palace Tent. Three free shows are brand-new offerings: Complimentary Heckling, Storychick Rochester Storybooth (to record a 3-5 minute story for the booth, visit rochesterfringe.com), and the space between. Site-specific work in other venues includes the multimedia collaboration LABYRINTH (RMSC’s Strasenburgh Planetarium), Spooky Stories in the Stacks (Central Library) and The Structure of Us (Makers Gallery & Studio). 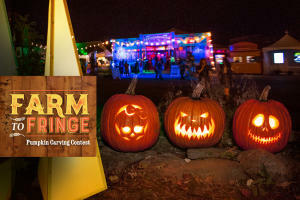 Also debuting this year: FARM TO FRINGE, a partnership with some of Rochester’s favorite local farms and proprietors to bring a fresh, flavorful experience to the festival, including a beer, wine & spirits tasting on Saturday, Sept. 16; pumpkin carving and painting in the Speigelgarden on Sept. 22 & 23: and a Fringe Afternoon Tea in the Spiegeltent on Sunday, Sept.17. More about KeyBank Rochester Fringe Festival: Celebrating and inspiring creativity, the “Fringe” – which is partially curated by the festival and partially by the festival venues themselves from applications submitted by artists – includes everything from theatre, music, comedy and dance, to children’s entertainment, spoken word, visual arts, and much more. Now in its sixth year, it has become one of the most successful fringe festivals in the U.S., attracting more than 68,000 attendees in 2016. This 10-day, multi-arts festival now boasts over 500 performances and events – more than 100 of which are free – in 25+ venues in downtown Rochester, NY. Rochester Fringe Festival is a not-for-profit, 501(c)(3) corporation that exists as a means to connect venues, performers, artists, educational institutions and the audience. It was pioneered by several of Rochester’s esteemed cultural institutions, including Geva Theatre Center, the George Eastman House and Garth Fagan Dance, as well as up-and-coming groups like PUSH Physical Theatre and Method Machine. The Board of Directors includes representatives from the University of Rochester, Rochester Institute of Technology, Bond Schoeneck & King PLLC, Boylan Code LLC, the Eastman School of Music, Mengel, Metzger and Barr & Co. LLP, Method Machine, PUSH Physical Theatre, and Writers & Books. The Rochester Fringe Festival is made possible by the New York State Council on the Arts with the support of Governor Andrew M. Cuomo and the New York State Legislature. This festival is also supported by a grant from Empire State Development’s I LOVE NEW YORK program under Governor Andrew M. Cuomo&apos;s Regional Economic Development Council Initiative. About KeyCorp: KeyCorp&apos;s roots trace back 190 years to Albany, New York. Headquartered in Cleveland, Ohio, Key is one of the nation&apos;s largest bank-based financial services companies, with assets of approximately $134.5 billion at March 31, 2017. Key provides deposit, lending, cash management, insurance, and investment services to individuals and businesses in 15 states under the name KeyBank National Association through a network of more than 1,200 branches and more than 1,500 ATMs. Key also provides a broad range of sophisticated corporate and investment banking products, such as merger and acquisition advice, public and private debt and equity, syndications, and derivatives to middle market companies in selected industries throughout the United States under the KeyBanc Capital Markets trade name. For more information, visit https://www.key.com/. KeyBank is Member FDIC. 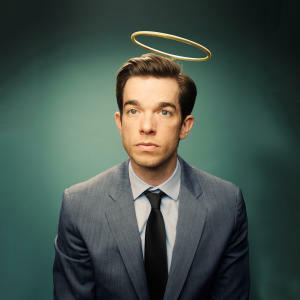 World Fringe Day highlights the crucial role that fringe festivals continue to play in the international arts landscape while celebrating the 70th anniversary of the world’s very first fringe festival: Edinburgh Festival Fringe. It all started in 1947, when eight groups hoping to perform at the newly formed Edinburgh International Festival were refused entry. Rather than being discouraged, they went ahead and performed anyway on “the fringe” of the Festival, and the Fringe was born. Year after year, more and more performers flocked to Edinburgh to be part of the Fringe – an open-access festival where no one is denied entry – making it the largest platform on earth for creative freedom: in 2016, 3,269 shows took place in 294 venues across Edinburgh. The original eight’s initial act of defiance was also the spark that ignited the more than 200 current fringe festivals around the world that have joined together to celebrate this day. The fringe model is a global revolution from Australia to France, Canada to Prague, South Africa to Brighton, China to Brazil, and everywhere in between, providing platforms for artists to present their work and make cultural connections that transcend national boundaries. Additional 2017 Fringe sponsors include: KeyBank; New York State Council on the Arts; University of Rochester; Rochester Area Community Foundation; Elaine P. & Richard U. Wilson Foundation; RIT; Ames Amzalak Memorial Trust; National Endowment for the Arts; Waldron Rise Foundation; Gouvernet Arts Fund at the Rochester Area Community Foundation; City of Rochester; Monroe County; Bond, Schoeneck & King LLP; Boylan Code LLP; Mengel, Metzger, Barr & Co. LLP; Wegmans; Nocon & Associates; Hyatt Regency Rocheser; Ronald Fielding; SUNY Geneseo; The Pike Company; the Max & Marian Farash Charitable Foundation; 13-WHAM; CITY Newspaper; Democrat & Chronicle Media Group; East Avenue Inn & Suites; Broccolo Tree & Lawncare; McCarthy Tents & Events; Daisy Marquis Jones Foundation; The Rubens Family Foundation; The Wilson Foundation; the Kozel Family Foundation; Fred & Floy Willmott Foundation; William G. McGowan Charitable Fund; the College at Brockport; Nazareth College; St. John Fisher College; Visit Rochester; Hamilton A/V; Genesee Beer; City Blue; WXXI; Yelp! ; Midtown Athletic; KidsOutandAbout.com; and ESL Foundation.